Employees with disabilities bring new, diverse perspectives and unique skills and talents to the workplace. Hiring people with disabilities is a win for everyone involved and brings value to teams in all industries. The first step to hiring more qualified candidates with disabilities is ensuring your company helps every employee feel welcome, comfortable and accepted. In other words, if you want to reap the advantages of having differently-abled individuals on your team, it’s important to create a workplace that works for – and welcomes – everyone. By doing so, you’ll contribute to an all-inclusive company culture, offer support and encouragement to employees of all skills and backgrounds, and improve productivity in the workplace. In this article, we’ll walk through three simple ways employers can eliminate barriers and be proactive in creating a disability-friendly workplace. Unfortunately, 67% of Americans with disabilities aged 16-64 are not working. That compares to 24% of people without disabilities in the same age group. Millions are supporting themselves through Social Security Disability Insurance (SSDI) benefits as they struggle to navigate the road to employment and financial independence. According to a new study, one of the main barriers they face in finding employment has to do with employer misconceptions and inaccurate stereotypes about individuals with disabilities. For example, many employers think that people with disabilities are more likely to have high and unpredictable medical expenses, or greater rates of absenteeism. However, these conclusions simply aren’t compatible with real-world experience. According to the study, employers may not have sufficient guidance on how to include certain populations in their workforce. To complicate matters further, a significant number of people with disabilities have what is known as an “invisible disability,” meaning that they experience a physical or mental limitation that isn’t readily seen. Any physical, mental, or neurological condition that limits a person’s movements, senses, or activities in a way that onlookers cannot immediately perceive is considered an invisible disability. Challenges like debilitating pain, fatigue, dizziness, cognitive dysfunction, brain injuries, learning differences, mental health disorders and hearing and vision impairments are not always obvious to others, yet can still severely impact a person’s life. It’s important to educate management teams about the realities of these conditions so they are better prepared to manage a team of diverse and differently-abled individuals. Make an effort to ensure people with disabilities are represented at all levels of your company, including the board of directors. Your team may require training or workshops on how to improve and diversify their communication styles and more effectively mentor, lead, and communicate with employees with disabilities. Not everyone who returns to the workforce after having their lives disrupted by long-term illness or disability will be able to perform the same job in the way they did before. Fortunately, a wide range of accommodations are available to help keep people in the workforce. In fact, the Americans with Disabilities Act (ADA) requires employers to make reasonable accommodations for those experiencing “a physical or mental impairment that substantially limits a major life activity.” Many organizations are concerned about the costs and time needed to make such adjustments. Fortunately, for an accommodation to be considered “reasonable,” it must not cause “undue hardship” to the organization, financial or otherwise, and employers have often found that these accommodations are very affordable – sometimes even free. Businesses with fewer than 30 employees or that fall within a certain revenue bracket can also receive a tax credit of up to $5,000 per year, which can further alleviate some of the costs. A simple piece of equipment, software, or accessibility device like a ramp or handrail can make a huge difference, and go a long way toward making an employee feel welcome in the workplace. And sometimes, all it takes for an employee to be able to perform at his or her full potential is a flexible work schedule or the option for telework. Other common accommodations include adjustable desks and monitors. In certain cases, investing in color-coded keyboards, screen reader software, and sign language apps could prove beneficial. Work closely with employees to understand what accommodations might help them perform at their best. Don’t assume all the struggles they face, as some may be invisible. The more you understand about how to accommodate your employees, the better you will be able to respond to and adapt to their needs, and the more effectively they will be able to carry out their jobs. A truly disability-friendly culture is built from the inside out. While raising awareness and providing education are two effective tactics, it’s even more important to make sure your company policies and culture are inclusive and disability-friendly. Does your employee handbook address disability discrimination? Do your procedures and practices include provisions for employees with disabilities? 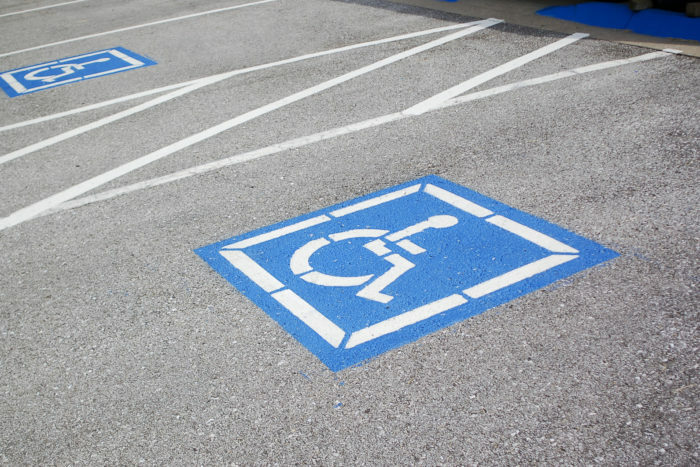 Are employees with disabilities pictured on company materials or reports? Do you offer information about training programs and workshops for, or about, individuals with disabilities? If not, it’s time for a rewrite and an overhaul. Schedule awareness sessions to educate employees about any forthcoming changes to your company policies, and discuss best practices when interacting with colleagues living with disabilities. It’s best if employees who are interested have the opportunity to provide input in creating and planning educational programs. Work to remove any conscious or unconscious biases, and offer opportunities for everyone to participate and contribute to the ongoing discussion. It’s likely that many employees will have innovative solutions or personal stories that can help. Empower your team to get involved and become a part of integrating employees with disabilities into your workplace. Create a platform for inclusive discussions as teams learn to practice sensitivity and empathy at work. Be sure everyone is aware of your organization’s commitment in this area, and provide useful, accessible resources and training materials in multiple formats (videos, audio, handouts, etc.). When it comes time to hire, use your newfound knowledge and understanding to guard against any biases of your own. During the interview, concentrate only on job-related questions like skills, education and experience. Fight against any unconscious stereotypes you may hold, and be mindful of how to select the most qualified candidate for your team. Finally, be sure your hiring processes comply with ADA standards, and that interviewing locations are fully accessible.